It was such a pleasure to return to the community of Misty Willow! Having read the first two books in this series, I was eager to discover more about Amy Somers and delve deeper into her story. I enjoyed Amy’s rekindled relationship with Gabe Kendall and the navigation of their dramatic journey. I also enjoyed revisiting beloved characters from previous stories. 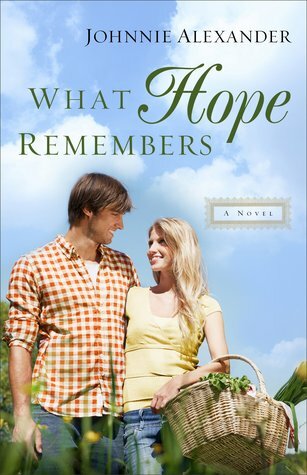 Heartfelt and emotional, What Hope Remembers is a lovely addition to a charming series! When Amy Somers loses her job as a lobbyist, she moves to Misty Willow, well aware that she’s crossing bridges she’d burned years before. With all the mistakes she’s made and the uncaring things she’s done–even to her own family–she can hardly believe that happiness will find her, especially when Gabe Kendall, her first crush and her first kiss, rides back into her life atop a buckskin mare. A former Marine, Gabe is at loose ends after serving a prison sentence for being in the wrong place at the wrong time. He sees beyond Amy’s hard exterior to the girl he once knew and loved, and he longs to see her open her heart. Yet with his vision clouded by shame for his past and fears about the future, he finds it difficult to see the path ahead. But the memory of that long-ago kiss just may have the power to reignite a romance that brings out the best in both of them. Purchase a copy of What Hope Remembers. Dani Prescott came to the children’s hospital to spy on Brett Somers–so how did she end up on a date with him? Weeks earlier she’d seen an interview in which he blamed her mother for the plane crash that had killed his parents. But the crash had killed her mother as well, so Dani can’t believe the story Brett’s trying to sell to the media. Vowing to find a way to discredit the privileged–and maddeningly handsome–Brett, Dani has been following him and taking photos, hoping to find something she can use against him. But when she catches his eye instead, she quickly finds herself offering up a fake name and agreeing to a date. Brett knows this mystery girl is hiding something–but he’s got his own secrets to keep. What will happen when he discovers who she really is? 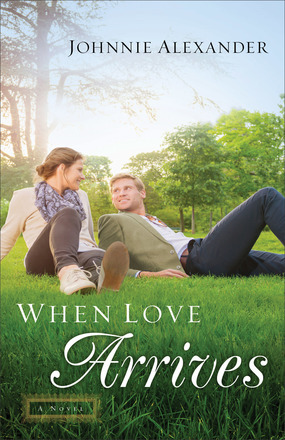 When Love Arrives is an engaging story! Having enjoyed the first book in the series, I welcomed the opportunity to return to the quaint community of Misty Willow and revisit its residents. Because Brett’s story begins in Book 1, Where She Belongs, reading the series in order is recommended. Dani Prescott and Brett Somers are an unlikely pair who have endured painful events in their pasts. From heartache and healing to revenge and romance, I enjoyed the complexities of their journey and the growth of their character. I was also pleased to continue Shelby and AJ’s story and look forward to reading more as the Misty Willow series continues. 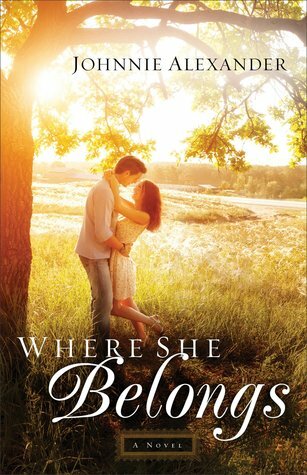 Where She Belongs is a complex contemporary romance with elements of intrigue and mystery woven through its pages. It’s a heartfelt story of friends and family, love and loss. Vivid details and descriptions bring the setting and characters to life and beckon the reader into the story. Shelby Kincaid is determined to reclaim her family’s homestead, and AJ Sullivan is more than happy to be rid of the property. Can they overcome their pasts in order to build a future? Where She Belongs was my first Johnnie Alexander book, and I look forward to reading more! Johnnie Alexander is the award-winning author of Where Treasure Hides. 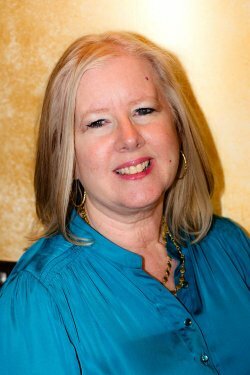 Johnnie is an accomplished essayist and poet whose work has appeared in the Guideposts anthology A Cup of Christmas Cheer. In addition to writing, she enjoys reading, spending time with her grandchildren, and taking road trips. She lives near Memphis, Tennessee. 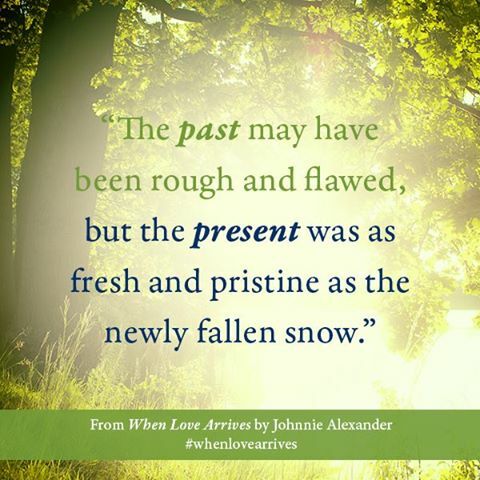 To learn more about Johnnie and her books, visit her website johnnie-alexander.com/.